You could buy the book, or use his lists and Wikipedia as a guide. Some interesting suggestions here. We are always thinking about adding new useful plants to our farm/garden. The American Groundnut (Apios Americana) is a case in point (with yields of 30 tonnes/hectare growing as a weed! As is Udo (Aralia cordata). 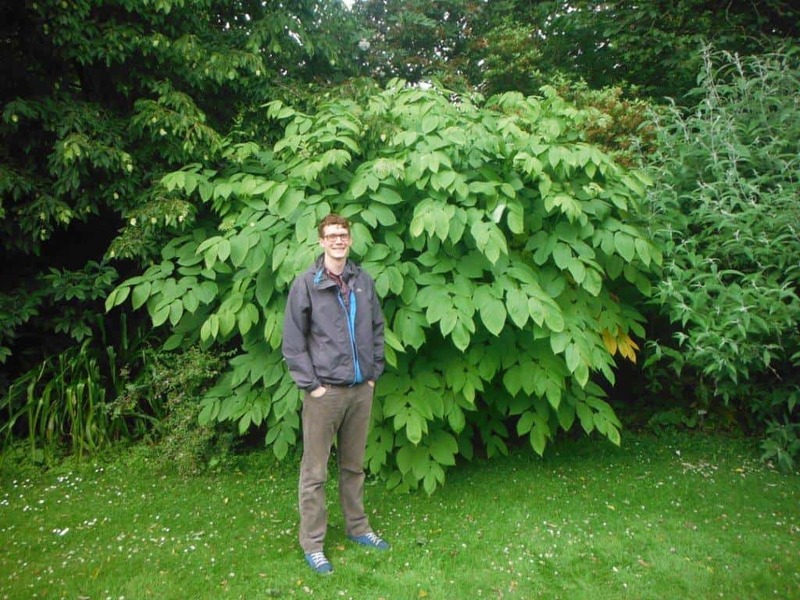 It is easy to see how one can add 100 perennial vegetables to the garden, and at least that many unusual fruits: http://perennialvegetables.org/ Udo can grow to 9′ – seen here growing in Scotland.